Up in the northwest corner of China, where the Xinjiang Region wedges in along the borders of Mongolia, Russia, and Kazakhstan, the landscape may challenge many Westerners’ mental picture of this vast country. The green hills of Xinyuan County recall the Great Smoky Mountains of the US or the Cumbrian countryside in England. 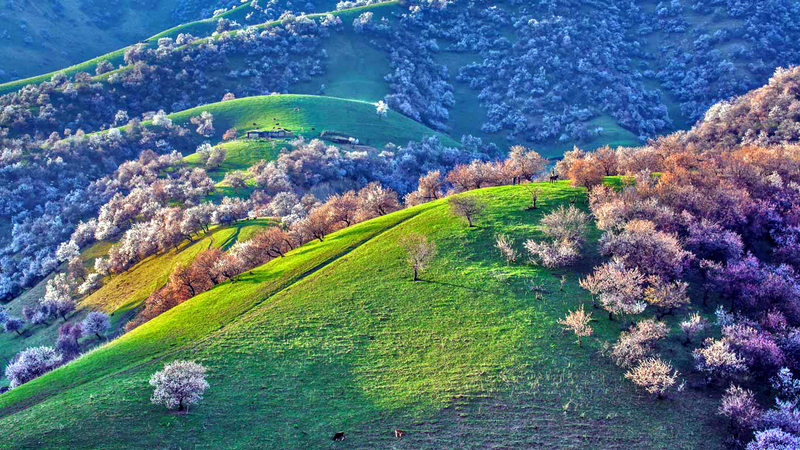 And in spring, the wild red apricot trees cover the slopes with bursts of pink blossoms.